Eye: A light golden hue that is tinged with reddish honey flashes. Nose: Luxurious and fruity notes of raw cocoa and saffron. The subtlety, despite its age, gives it a light purity that is wholly delightful for the senses. Palate: An elegant and gentle taste, that is simultaneously well rounded with a touch of spice. Flavors that come to mind include pear, clove, pepper and again saffron. The finish is dry and slightly smoky. Introducing the highly anticipated arrival to the Sophie & Max family of Limited Edition Cognacs. Sophie & Max Sélection N° 2 is the epitome of contemporary viticulture, combined with craftsmanship that dates back generations. This artisan blend falls into the “EXTRA” age category, in its very own triad of complementary vintages from 1975, 1982, and 1989. This Cognac is an exciting addition to their growing Sélection series, which aims to shine the spotlight on artisan Cognac producers. At the heart of this series are those families who make Cognac from A to Z: tending to their vineyards, harvesting, distilling, aging, and finally blending. Sophie & Max Sélection N° 2 is available exclusively to Cognac Expert readers and should not be missed during its short-term release. 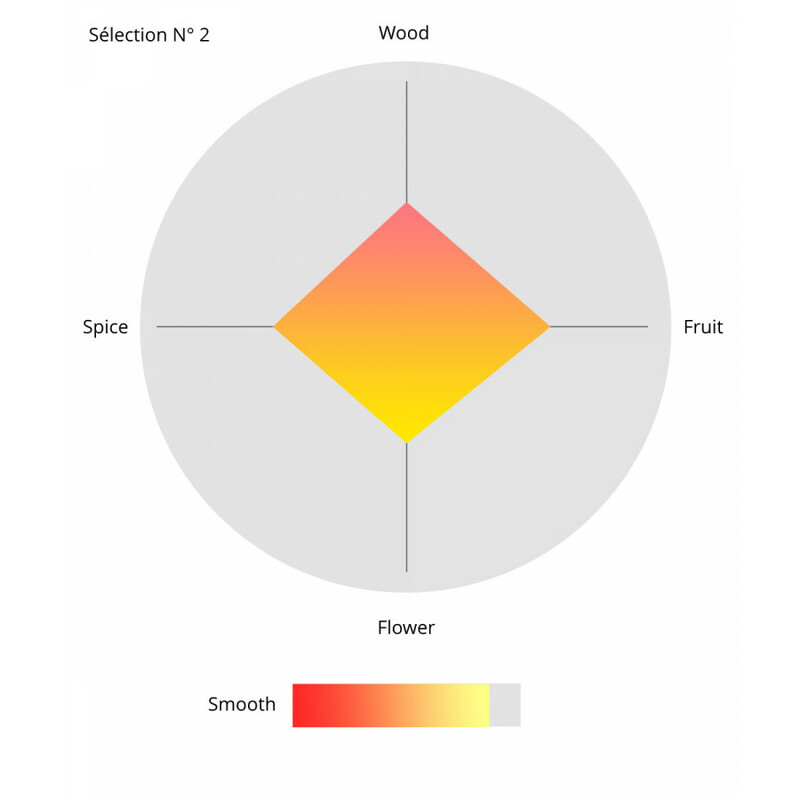 As with their previous release of Sélection N° 1, the sibling duo have devoted time to closely collaborate with a local producer in order to select an outstanding Cognac. Sophie and Max are delighted to have partnered with Domaine de Birius to share their latest blend with Cognac lovers worldwide. Fully committed to sustainable farming, Cellar Master Elodie Bouyer is one of the youngest in the Cognac world. She and her parents Anne and Philippe embody everything that Cognac Expert champions. Sélection N° 2 EXTRA is truly a family affair. The three selected vintage barrels are a measure of this Cognac’s authenticity. Its grapes are harvested, and its eaux-de-vie aged in oak barrels using traditional techniques. Aged for three decades and longer, this fine trio of eaux-de-vie was twice-distilled by Elodie’s grandfather and delicately assembled by Elodie herself. The result is a blend that derives from one single growth area renowned for its chalky and porous soil, the Petite Champagne. 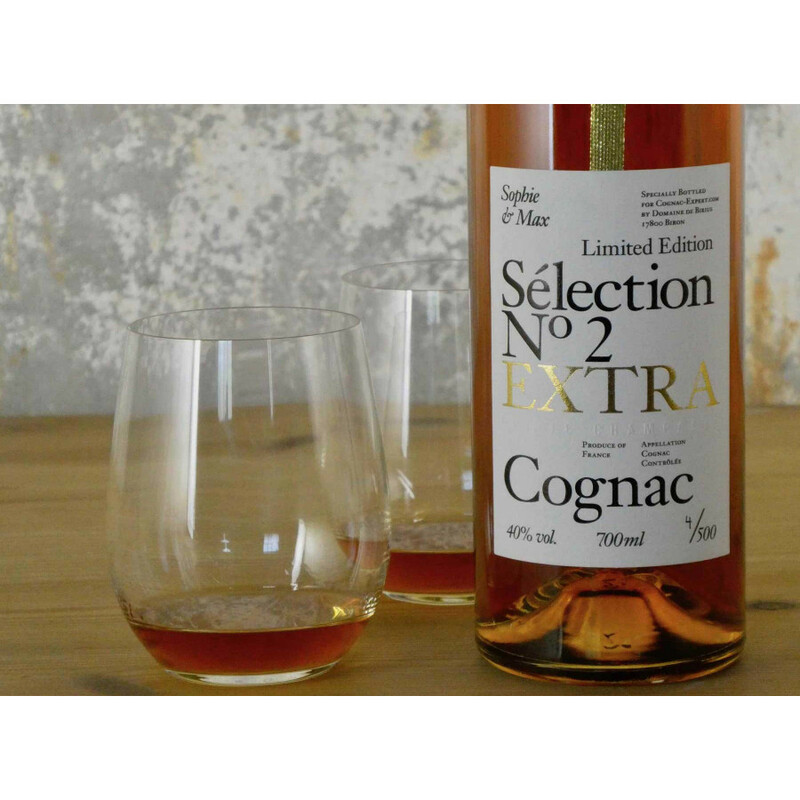 Sophie & Max Sélection N° 2 EXTRA has been bottled in a limited edition of 500 and will be packed and shipped from Sophie and Max’s family estate Logis de Beaulieu in the Cognac region. Each bottle has been individually handled, labelled, and packaged. Sélection N° 2 EXTRA can be distinguished by its creamy white wax that was applied by hand, and the delicate golden stripe that runs down the neck of the bottle. Designed by the duo itself, it is a project of a caring collaboration. The label exudes contemporary chic through the smallest of details. 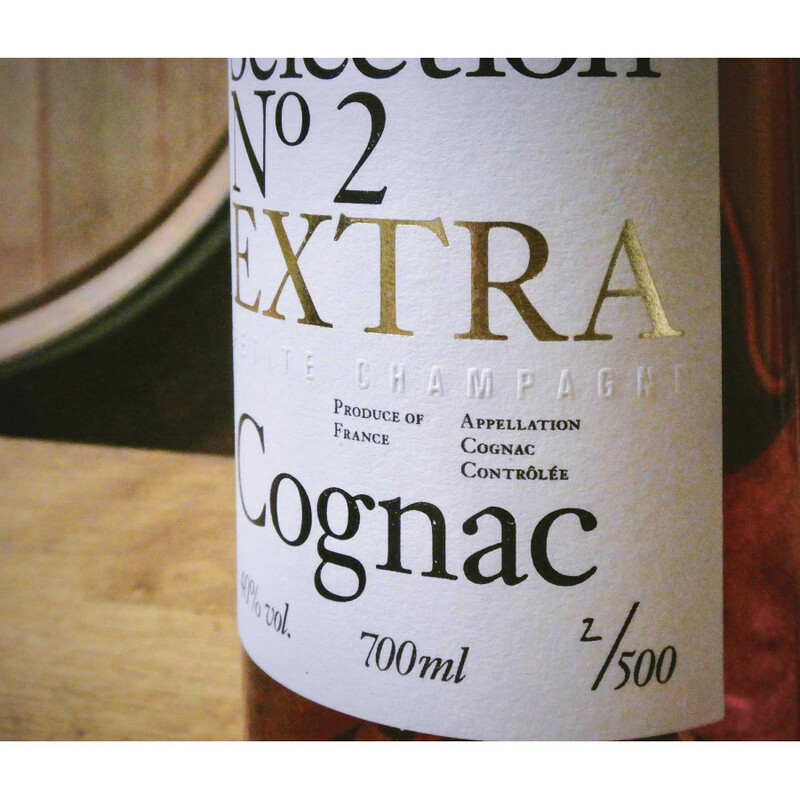 With embossed text and a gold leaf “EXTRA” on its slim bottle, the beauty of this Cognac is in its aesthetic simplicity. It has been designed to perfectly complement the Sélection N° 1 bottle in your cabinet. The vision shared by Cognac Expert founders Sophie & Max is a longstanding one. Giving familial Cognac producers the exposure they deserve has been their business philosophy since it all began. 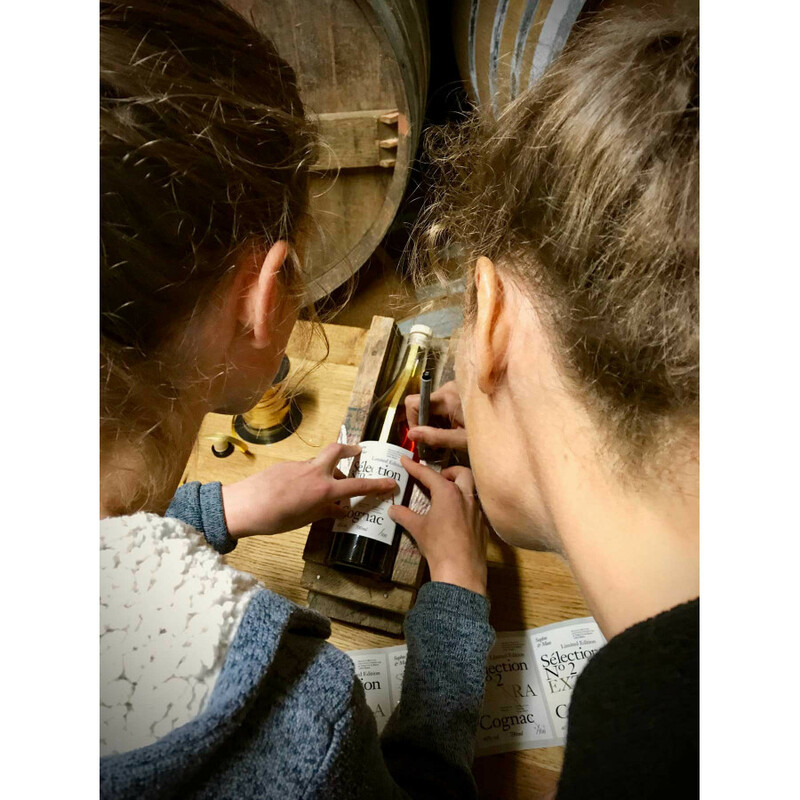 Located at their family estate, Logis de Beaulieu, in the glorious Charentais countryside, Sophie and Max work hard to endorse smaller brands and keep things as local as possible. In doing so, they are helping to pave a future for the heritage of Cognac culture. The Sophie & Max Sélection series is the result of turning passion into product. The initial Sélection N° 1, which was an X.O. Cognac, was an exclusive line bottled by their neighbor and local producer Jacques Petit. The Limited Edition of only 150 bottles sold out immediately. Read more about the launch of the first Sélection edition here. 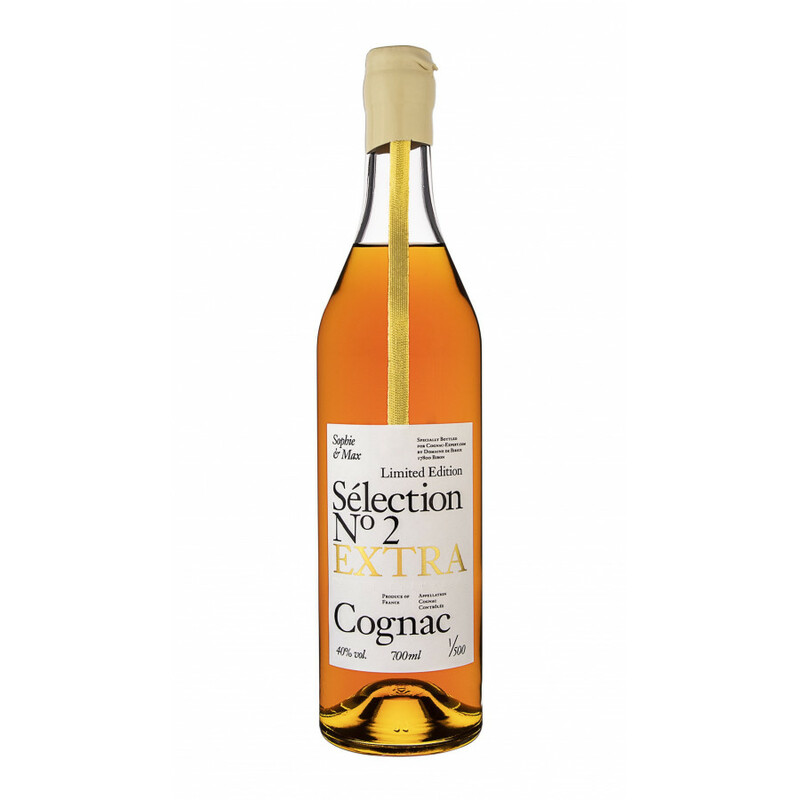 Sophie & Max Sélection N° 2 EXTRA is a mature Cognac that has been aged in oak barrels for 30 years and longer. The resulting aromatic subtleties are best enjoyed when the Cognac is at room temperature. Drink it neat, in a tumbler or tulip glass. If you are interested in food pairing, try this dry and pure Cognac with chilled oysters and other seafood dishes. It also goes incredibly well with dark chocolate–a dark mousse au chocolat coupled with Sélection N° 2 is the ultimate taste sensation to top off a special dinner. Read more about the launch of the second Sélection edition here. I decided to taste this exactly like I tasted Selection No1, 2 ounces in a Schott Zwiesel Tritan cognac glass. A lighter honey color, with hints of red at the edges, with a soft aroma, and a distinct body that lingers on the side of the glass. A enjoyable upfront heat, with a luscious lingering spice. Again, not possible, nor desirable, to pop a cork, slam a dram, and expect to develop a reasoned, thoughtful opinion. For my sampling, I used a tulip-shaped tasting glass from a Francois Voyer Hors d’Age set. It’s a great glass with a small stem, making it easier to palm and thus gently warm the cognac. For this cognac, a little warmth rewards with both aroma and flavor. A great cognac should never be hurried, and Selection No. 2 is no exception. It has a gentle, nuanced personality. Its flavor profile is unique, with a dry, graceful essence. It has a lightness I was certainly not expecting for such an old cognac; of course, EXTRA doesn’t always mean dark and heavy. Selection No. 2 pairs well with dark chocolate, but not too dark. Bitter chocolate would distract the palate from this spirit’s subtle, elegant nature. This is a cognac I especially look forward to sharing with friends. ~Well balanced, with light pepper/spice and subtle fruit. After some time, delightful floral aromas develop. ~Medium nose, very engaging; smooth, clean and slightly dry finish. Brother and sister duo, Max and Sophie, founded Cognac Expert 10 years ago. 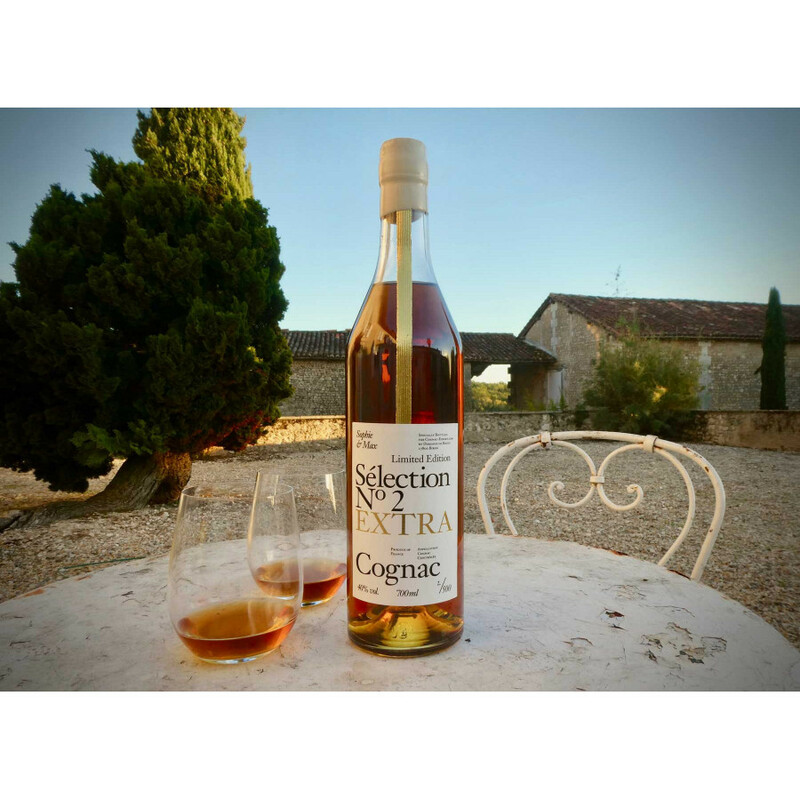 They actively promote small, family-run Cognac producers, hoping to share little known talent in the region with Cognac lovers and connoisseurs worldwide. Sophie & Max Sélection Cognac is a series of Limited Edition Cognacs designed to bring artisan Cognac houses to the attention of a global audience. The sales of the bottles directly benefit the producers and help them maintain their family brands. These producers still practice the true art of Cognac-making, some still harvest their grapes by hand. By featuring select Cognacs in the Sélection series , this valuable heritage will hopefully be protected. Max and Sophie run Cognac Expert from their agricultural estate in the French countryside and are deeply connected to the Cognac region and its people. Their family roots in Charente go back three generations. The website provides information about everything imaginable relating to Cognac to a global readership and customer base. Read our blog article about our second Selection Edition. Tasting review by Remy Martin: Color: Bright coppery gold Palate: Fruity notes: apricot and peach. Floral notes: violet, rose. Spicy notes: sweet vanilla Finish: Perfect balance and harmony, remarkably well-rounded. We haven't tasted this VSOP yet.